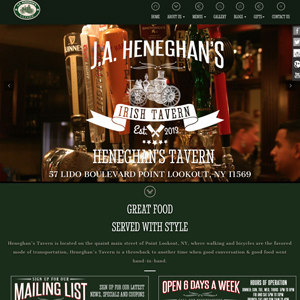 September 12, 2014 marked the one year anniversary of Heneghan's Tavern in Point Lookout, NY. Richard Zampella, Creative Director of Transmultimedia, Inc., produced this 3 minute retrospective from media collected during the tavern's first year of operation. 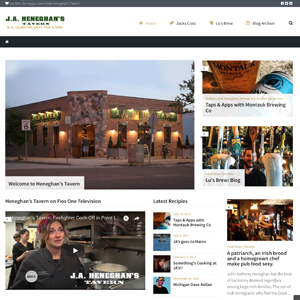 He also designed the tavern website and consulted on the bar design. A handsome, dark wood snug bar with a brass rail and mosaic detail with the restaurant eponym emblazoned in the floor.